AspectPL data collection enables significant analysis based on the performance of the factory helping with productivity analysis. Single-click drill down to root-cause analysis. 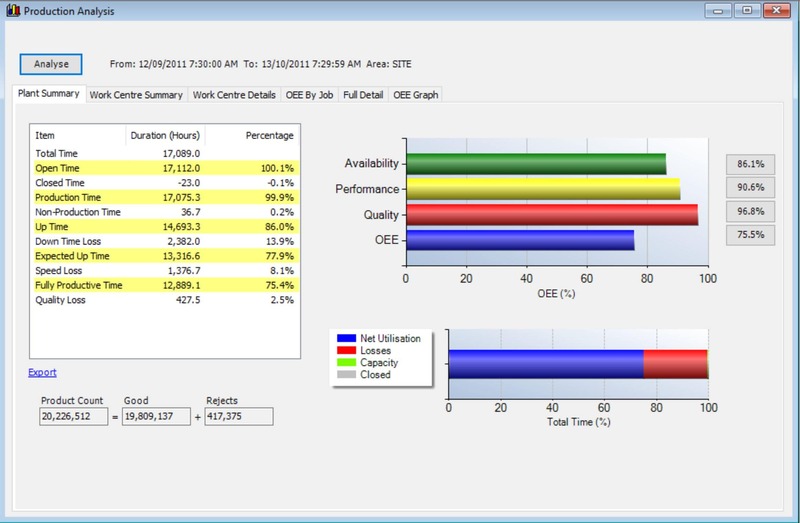 Measuring Overall Equipment Effectiveness (OEE) is an automatic output of the process managed by AspectPL. Decisions are supported by actual and real data removing the guess work across the enterprise. Full detailed data export to Excel. Compare every single job against standard and view job history. Single-click drill-down to enable root-cause analysis. 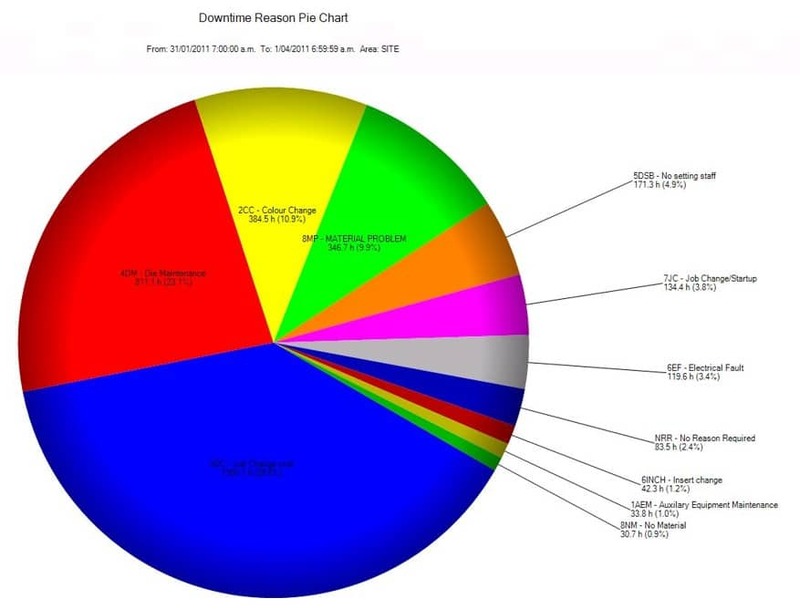 Build Pareto or Pie Chart graphs.